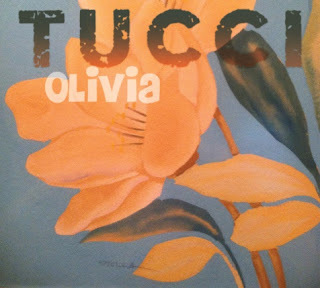 SARASOTA, FL – Blues/rock group Tucci announces a July 14 national release date for their new CD, Olivia, on Hideaway Records. Tucci band members are Steve “Doc” Tucci – guitars and vocals; Michael Tucci – drums; Shawn Murphy – sax and vocals; and Harry DeBusk – bass and vocals. Blues great Larry McCray lends his guitar and vocal talents throughout the album, and Olivia also includes perhaps the last recorded appearance from former Allman Brothers Band, Gregg Allman Band and Great Southern guitarist Dan Toler, who died shortly after his track was recorded. The Tucci band will celebrate the release of the new Olivia CD with a special performance at Bert's Black Widow Harley Davidson, 2224 El Jobean Road, in Port Charlotte, Florida, at Noon on Sunday, July 16. The Tucci band continues on the path set by its previous incarnation, The Toler-Tucci Band, which featured Dan Toler and recorded the acclaimed CD, Doc’s Hideaway, in 2012. Dan Toler was a longtime friend and mentor to the band, and his spirit informs the music on the new disc. Toler passed away in early 2013 after a long battle with ALS. The all-original 11 songs on Olivia showcase the band’s high energy blues/Southern rock sound, with flourishes of funk, R&B and jazz. Special guest Larry McCray stamps his strong guitar work and vocals on eight songs; and Dan Toler’s distinctive guitar stands out on the track, “Play by the Rules.” Additional friends appearing on the new CD include Donnie Richards (Hammond B-3 organ), Ira Stanley (slide guitar) Dan Ryan (keyboards), Al Owen (vocals) and Bob Dielman (guitar). Produced by Steve Tucci and Bud Snyder, Olivia was recorded and at mixed at the Spirit Ranch Recording Studio in Sarasota. Steve “Doc” Tucci is the band’s main composer. His work on guitar and vocals is widely respected and merges rock and soul, vintage and modern, yin and yang; Shawn Murphy is the sax player and also possesses a soulful voice; Harry DeBusk and Mike Tucci, bass and percussion respectively, hold everything together with their funky, sometimes syncopated, but always musical groove. The Sarasota-based Tucci band has been a mainstay of the Florida festival and club circuit over the years, developing a solid fan base. The Tucci and Toler-Tucci CDs can be downloaded or purchased at various stores or on-line through Amazon.com and iTunes.